The stats are real, my wife and I have now challenged three different escape rooms and have succeeded all three! There are numerous options for facilities with escape rooms in Ottawa so we began to research a little further. After crawling the web, we found a facility that offers escape rooms of higher complexity and multiple rooms in each escape, they even have a fully VR room. 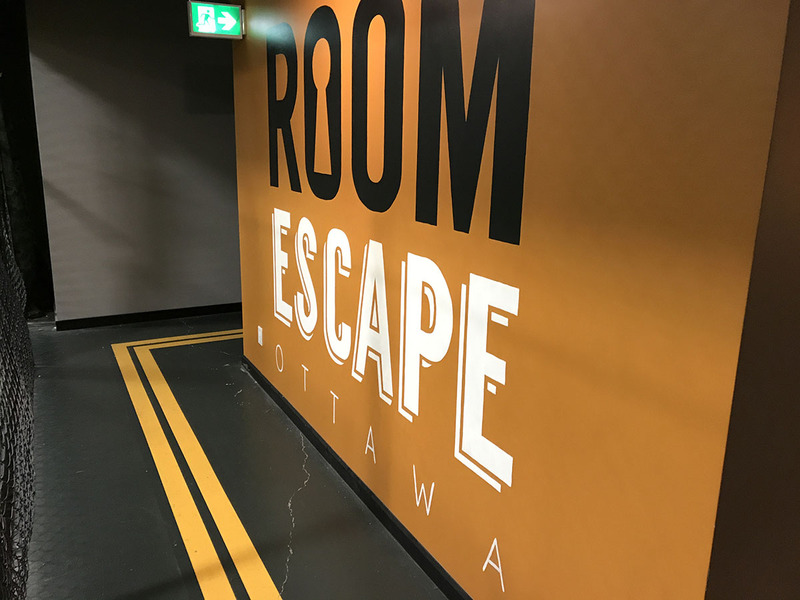 I’m talking about Room Escape Ottawa, the largest real-life escape rooms in Ottawa! Not only that, but Room Escape Ottawa was masterminded by Game Hive, makers of the Tap Titans, Beat the Boss, Battle Run, and Antrim Escape, an award-winning studio and one of Canada’s top indie game developers. Needless to say, their resume was impressive so we were definitely excited! The next decision was which room we wanted to tackle, Boom Room, Serial Killer Charade, Stranded, De-Composed(VR), or Deliverance. Being fans of TV shows such as Law & Order SVU, CSI, etc. Serial Killer Charade’s description was definitely very interesting. We arrived at their location at 1860 Bank St. and were pleasantly surprised and welcomed by Archery Games Ottawa, which looks like a very interesting game to say the least, definitely on our list of things to do! We checked in and headed back where we met our hostess May. She was very informative helpful and once we entered our briefing room, she became extremely animated, kicking our escape into high-gear – a very nice touch! I’m not going to go into detail about the room, but there are several different rooms in this escape, that are large in size, lifelike and extremely well done. We feel that it was the most elaborate escape we have ever attempted! The rooms also have great communication methods to reach your host for help and tips as well as a flat screen where hints can be displayed, which are also trivial and not direct, adding to the fun. An audible alert is heard over the speakers when something is being displayed. All said and done, we made it to the final puzzle when the 60 minutes was up! Despite not making an actual escape, we were faced by so many challenges and I think doing the room with 4-8 players would help solve more puzzles quicker and help in escaping the room. I must say, and my wife would agree, it was the most entertaining and challenging escape we have ever encountered. What are you waiting for – book now!